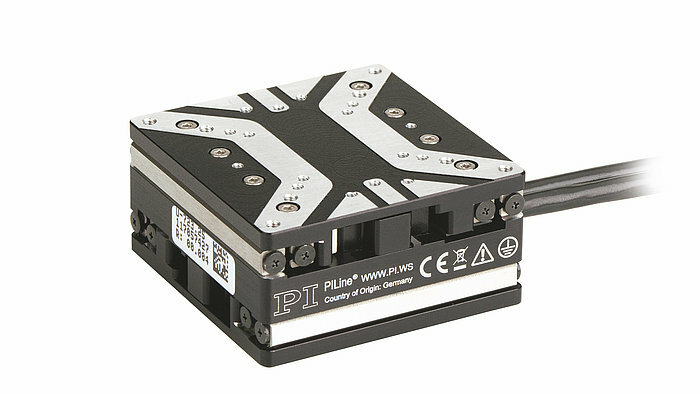 Piezo motor-driven positioning stages differ from traditional piezo stack/flexure guided nanopositioning systems. 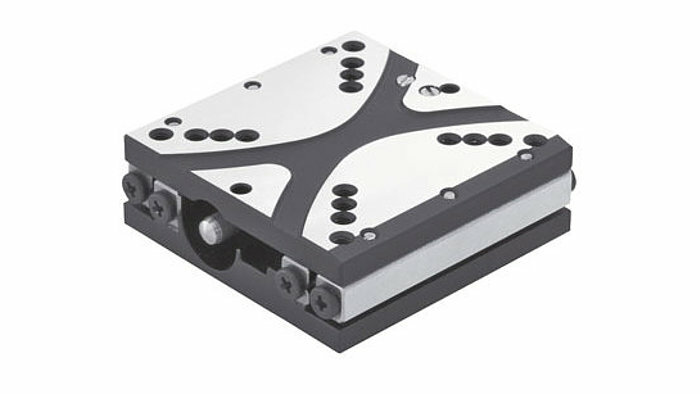 They combine elements of classical motorized positioners such as cross roller bearings, long travel ranges, etc., but replace electromagnetic linear motors (or motor / screw drive combinations) with electroceramic direct drives. 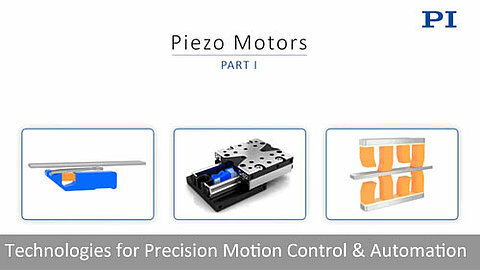 The compact piezo motor positioning stages on this overview page are grouped by the piezo motor type used internally. 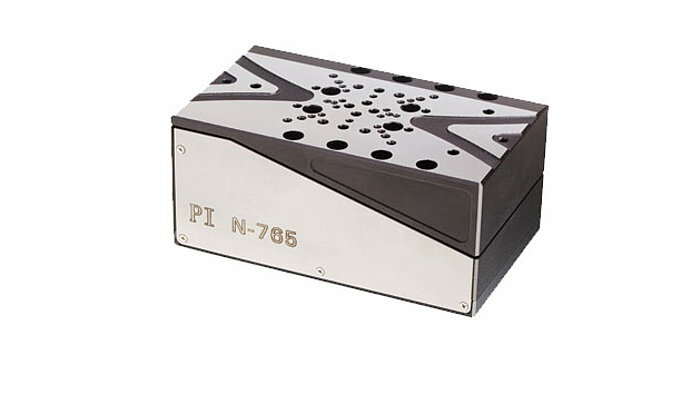 Ultrasonic motors provide the highest speed, inertia motors are extremely small, but not as fast, and PiezoWalk® motors provide the highest forces and precision. The video here explains the different drive principles. Ultrasonic motors provide very fast start/stop behavior, smooth motion with a very wide dynamic range from microns/second to 100’s of millimeters/second. 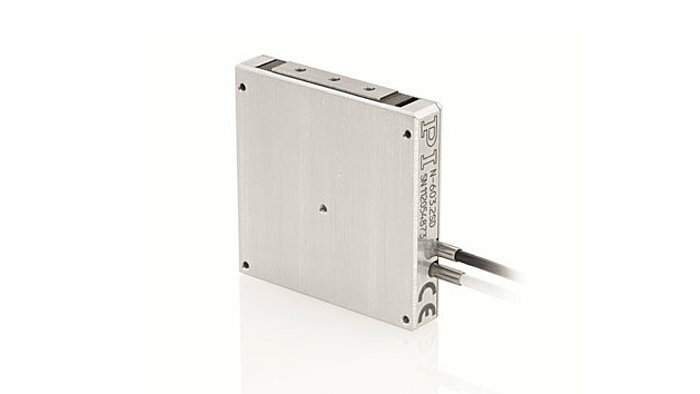 Both linear and rotary ultrasonic motors are based on compact piezo ceramic elements driven at high frequencies of 10’s to 100’s of kHz (beyond the human hearing range). Each oscillation cycle transfers nanoscopic motion to a linear or rotary ceramic surface bonded to a linear runner or rotary platform. 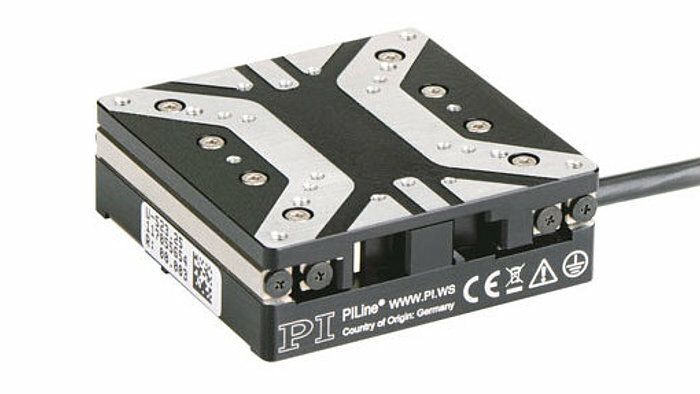 PIshift inertia-type piezo motors provide resolution in the micron to nanometer range. 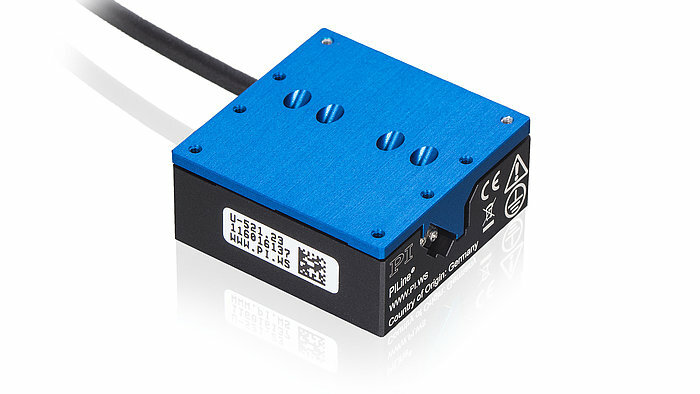 These extremely compact motors can be integrated into linear and rotary stages. The drive principle is based on a cyclical alternation of static and sliding friction between a moving runner and the drive element, related to the classic tablecloth trick. Piezo inertia motors can be operated in open loop, but for high accuracy and repeatability, a position encoder is integrated in the stage. Vacuum compatible and non-magnetic versions are also offered. 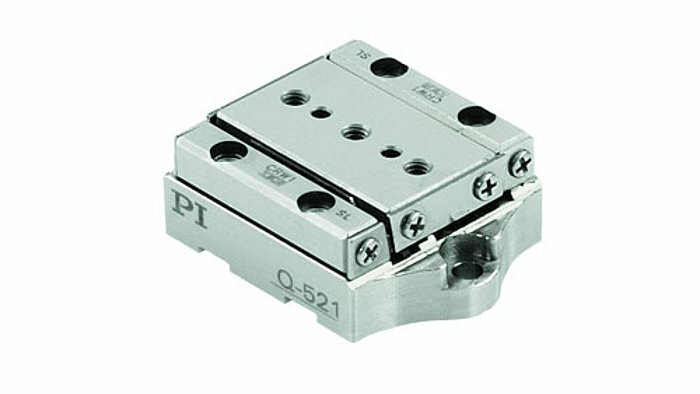 The PIShift piezo inertia drive is very quiet, due to its high operating frequency of 20 kHz. 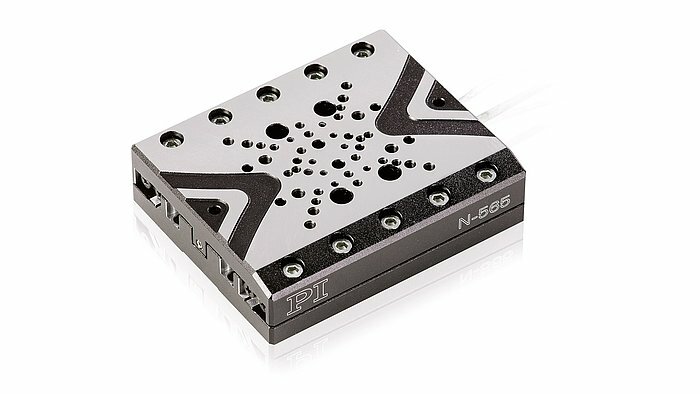 The N-565 compact linear stage and its complementary N-765 vertical stage are equipped with PiezoWalk® linear motors and PI’s ultra-high precision PIone linear encoder providing 0.5nm resolution. 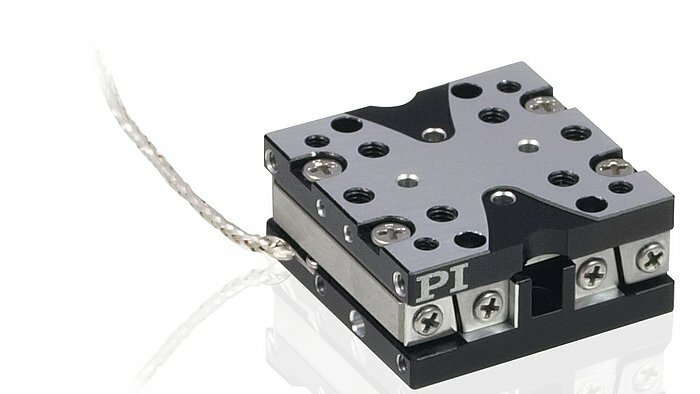 The patented PiezoWalk® drive is based on the coordinated motion of several piezo actuators and combines piezo-class resolution in the sub-nanometer reange with long travel and extreme reliability. The motors are self-locking at power off, with no heat generation at position hold and extreme position stability.